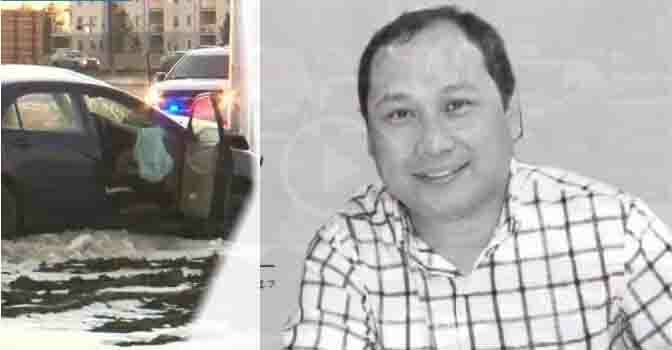 A 43-year-old Filipino man was killed after his car was struck by a truck in Edmonton, Alberta, Canada January 20. According to ABS-CBN News, Oscar Manalo, who was originally from Pampanga, was driving his Toyota Corolla when an F-150 Ford truck struck him. While the truck careened off-road, Manalo’s car struck a pole. Authorities ruled out alcohol, drugs or overspeeding as factors in the accident. Manalo was declared dead on arrival. His death was the first traffic fatality investigated by the Edmonton Police Service for this year. “One more thing I can remember about him he was so selfless he took care of my boys and gave them a beautiful Kobe jersey, and he loved basketball, and so does my son, so I will miss you Kuya Jun and we love you,” said his cousin Stephanie Viaje. “Ang kanyan kagandahang loob ang nananatiling buhay sa amin,” said Pastor Dennis Lachica. A GoFundMe page has been set to assist in bringing Manalo’s remains back to the Philippines.